Home / Articles / What is Psychic Cold Reading? Do psychics really have the ability to divine the future by speaking to the dead, or do they, as skeptics insist, just use an old magician’s parlour trick called “cold reading”? Timothy Campbell knows what he is talking about, too because he used to be a “psychic” himself. He says it was something that came to him to try because he has seen people on TV do it and thought that it should be easy. He signed in to an internet chat room and introduced himself as a psychic who channeled the fortune-telling spirit of an Eighteenth Century French soldier named Gaston. Unbelievably. he received e-mails from people asking for readings in no time. Campbell says he was actually successful in the readings he did there, no one suspected he was a fraud. To way to a cold reading, he says, is first to feign modesty about your psychic ability. It helps shore up your credibility as revelations would seem more impressive as you catch the subject off guard because of your feigned modesty. Basically, you set them up to not expect something from you and then you hit them with something they didn’t expect but was hoping to hear and you’re on. After the feigned modesty, a cold reader will then begin the conversation with hot topics – these usually are about relationships, money, spirituality, loss and honesty. It’s universal and the subject is sure to be able to relate to these topics. Say something vague like ‘you’re seeking to hide your pain behind a façade,’ you can already have the ball rolling from there while seeming to have guessed what is going on in the subject’s life. A cold reader would then ‘fish’ for more hits, using subtle clues and feedback from his subject to gradually move his line of questioning from the vague to the specific. Or, observe the subject for more obvious clues like their accent and if they are foreign to the country you can say something like, ‘my spirit guide s telling me about something to do with living in the Far East…’ for example, and again, a cold reader has managed to elevate themself while drawing the subject out to talk some more. Although cold readers should also be careful, for every solid hit a cold reader must be prepared for several outright “misses.” For instances like these, experienced cold reader Campbell said that he had stock phrases he can as dodges – subterfuges to use for getting out of mistakes. An example of it would be to blame the ‘spirit’ guide as giving mixed signals and speaking in a language you could not pick up on. Cold readers capitalize on the human tendency to remember remarkable or strange things, for example the hits, and tend to quickly forget that which is ordinary and unimpressive which are the misses. Cold readers have learned to move through their reading sessions, specifically to veer away from dead ends and constantly honing in on specific information. Cold readers keep things nice and ambiguous, and let the person do all the work. It is even easier to do it online because your subjects can’t see you performing the readings. Cold readers can easily look you up online and learn information about you as a subject and then pretend that the information came from their spirit guide. But isn’t it possible that there are some real psychics out there? Could cold reading simply be a natural means of simulating a supernatural feat? 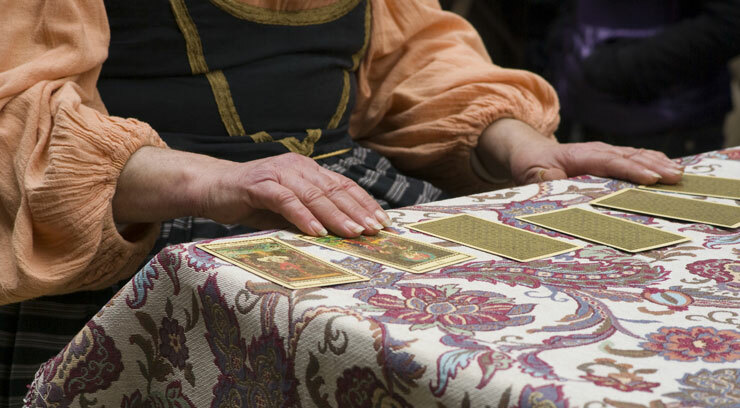 Skeptics say that they distinguish between what they call ‘eyes-open’ psychics and ‘eyes-shut’ psychics. Eyes-open psychics are deliberately conning people. Eyes shut psychics are intuitive people who believe they actually have some powers. However it then may be that if all psychics are frauds and deceitful, can we then say ghosts are not real, too? That the supernatural is not real? How do we find these real psychics, the ones with their sixth sense open? Previous What does “Twin Flames” Mean?